Yes, donkeys and zebras can breed and have babies! 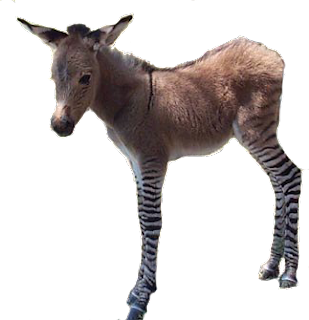 The above foal was born to a donkey mother, fathered by a zebra. I like this little guy, half horse, half zebra. 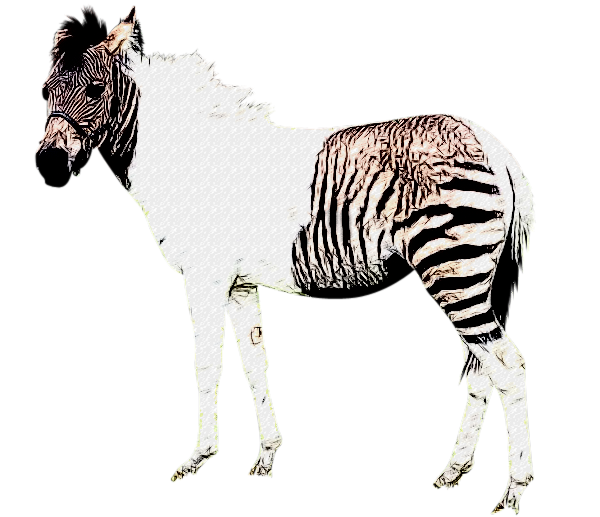 The flank stripes make me think the zebra was a mountain zebra...what do you think? I saw something like this in NG KIDS. He kinda looks like Okapi.